I've found the website understood.org to be a great resource as both a parent and martial arts educator. It's a site dedicated helping parents, guardians, and educators better relate and serve kids that may have learning or attention issues. I highly recommend you check it out. They have an article on the "6 Ways to Improve Your Child’s Self-Esteem With Extracurricular Activities". Here are the major points, then you can check out the whole article if you like. Through years of teaching martial arts to children (and adults) I've found a key relationship to be true. Self-Confidence and Self-Esteem, although not the same, are closely related. Self-Confidence is the beleif in one's abilities and Self-Esteem is the beleif in one's self and self worth. 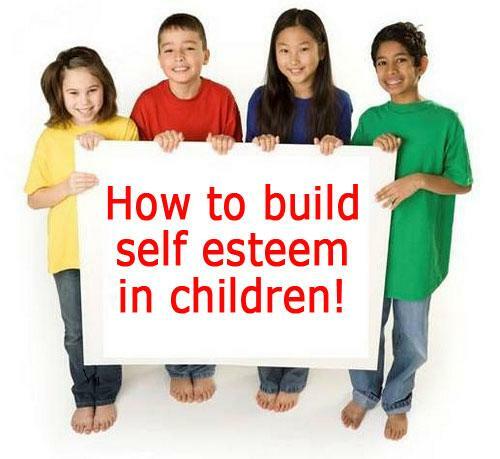 Self-Esteem is derived from Self-Confidence and Self-confidence is derived from competence. When a child lack's ability or competence in one area, be it academics, music or sports it can have a downstream affect in his or her self-confidence in all areas and eventually self-esteem. However, extra-curricular activities can provide opportunities that a child will be both interested in and good at. Here are six ways to improve your child’s self-esteem with extracurricular activities. Kids with learning and attention issues can struggle in school, so it’s important for extracurricular activities to highlight their strengths. For example, if you have an artistic child who loves to draw or paint, there are a number of art classes he can take. If he likes to sing or play an instrument, he can join the school band, orchestra or choir. Follow these steps to identify strengths in your child. Or you can try a hands-on activity. 2. Nurture a subject your child enjoys. Your child may like certain school subjects, but still get stressed out by the amount of work required. If your child likes science but gets anxious in class, for instance, he may enjoy a science club that can make learning more fun. School clubs are a good way for your child to develop his passion without the pressure of tests or other classroom demands. Many schools have clubs for a wide range of interests, such as photography, drama and community service. You can also look into private activities and classes, such as cooking or rock climbing. 3. Encourage participation in athletics without pressure. If your child is athletic, there are physical activities that can support his strengths. And sports are a great way to blow off steam. If your child likes basketball or soccer, he can join the school’s team or a neighborhood league. Team sports can build social skills and provide mentoring opportunities. But team sports also can make some kids with learning and attention issues feel anxious. They may even feel rejected or self-conscious if they see themselves as a weaker player on the team. It’s good for them to know there are other options. Martial arts and swimming are also great options that can focus on the individual more than the group. 4. Look for activities that may develop your child’s skills. Some activities can actually build your child’s learning skills. But they’re so much fun, he might not even notice. Activities like yoga and dance can help develop coordination and motor control. Drama classes can help kids with reading comprehension. And chess or robotics club can build problem-solving skills. 5. Be on the lookout for a hidden talent. Sometimes kids might be reluctant to try new things for fear of failure. Kids with learning and attention issues may be more hesitant because they already struggle. This is why it’s a good idea to encourage your child to try a new activity he’s interested in. You can agree that after he tries an activity, he can decide whether to stick with it or not. The payoff could be discovering a new talent. For example, your child might be focused on playing baseball but find out he has a real knack for painting. That would be a great discovery—and a big confidence boost. 6. Look for activities that may help with social skills. Kids with learning and attention issues can fear social situations. Their challenges can make interactions with other kids tough or awkward. And for kids who’ve been bullied because of their issues, it can be really hard to open up and make new friends. An extracurricular activity is a good way for kids to be social in a more relaxed environment. And they get to meet kids with the same interests. Being with other kids who enjoy the same things can help your child feel like he belongs. There are many ways to help your child find success outside the classroom. Discover afterschool activities that make math fun. Read more on ways to make sure extracurricular activities are positive for your child. We've put together this FREE Back to School Success workbook so that parents and children in our community can take steps in preparing for the next school year. It's packed full of tips, worksheets and discussion topics that can help each and every student. Just fill out the form below to get your free download!